Opening in 1936, with a building designed by Miami architect, August Geiger, Coral Way Elementary was the first bilingual school in the country. Responding to the first influx of refugees following Fidel Castro's 1959 rise to power in Cuba, school officials in the early 1960s began planning entirely bilingual schools. 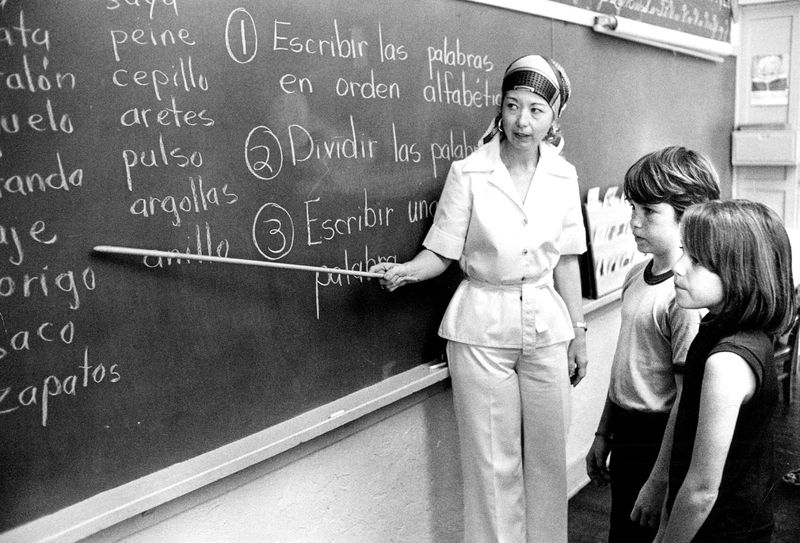 With funding from the Ford Foundation, the Coral Way Elementary bilingual program was the first to open, in 1963. At the time, half of its students were Hispanic. Students were an even mix of Spanish-speaking and English- speaking youngsters. The school curriculum was taught in both English and Spanish languages. English-speakers and Spanish- speakers shared classes in both languages.